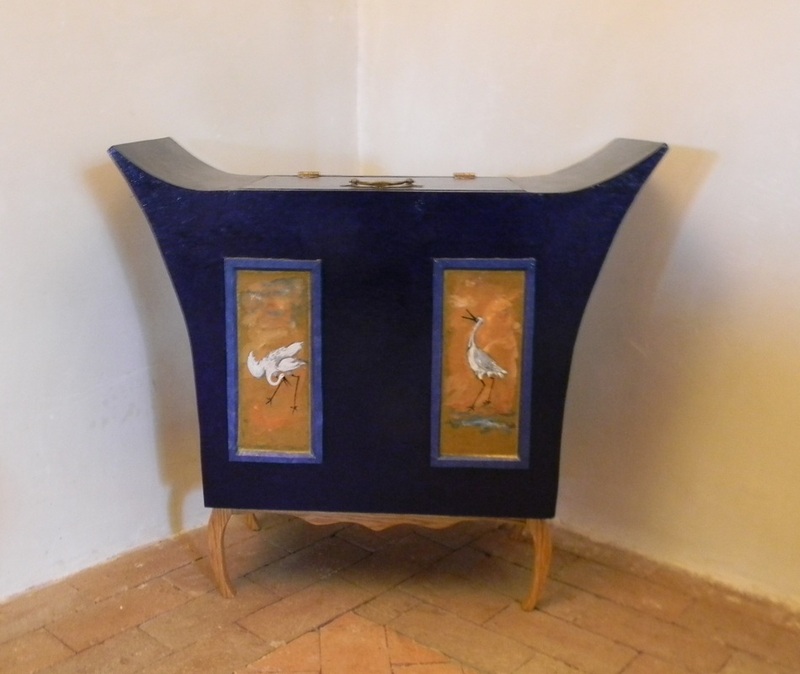 2. cabinet with celestial flying birds interior 14"x10"17"
3. meditation cabinet with Chinese dragon interior 23"x7"x17"
4. spirit house with yellow roses 14"x6"18"
5. dark green side table with birds 24"x8"x19"
6. royal blue altar with flying swans 10"x7"x13"
7. zig-zag blue shelves with golden dragons 12"x9"x32"
8. midnight blue cabinet with olive green interior 21"x8"x17"
9. 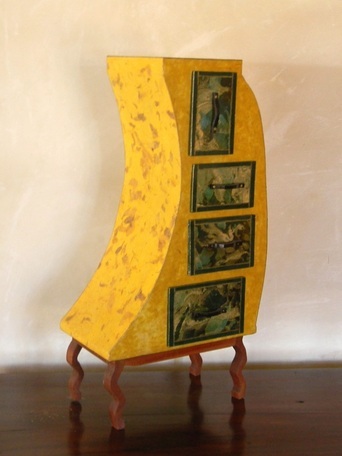 Tibetan clouds table with golden dragons 15"x11"x29"
10. smiling cabinet with golden dragons 25"x9"x19"
11. 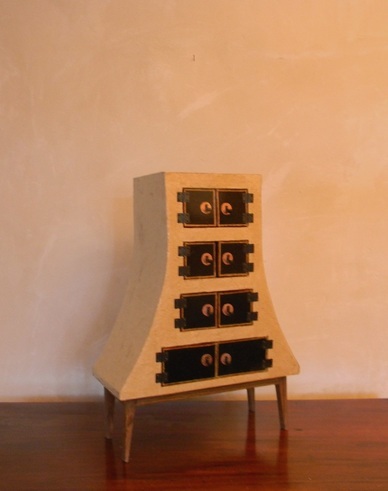 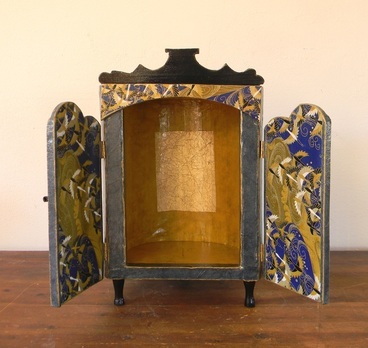 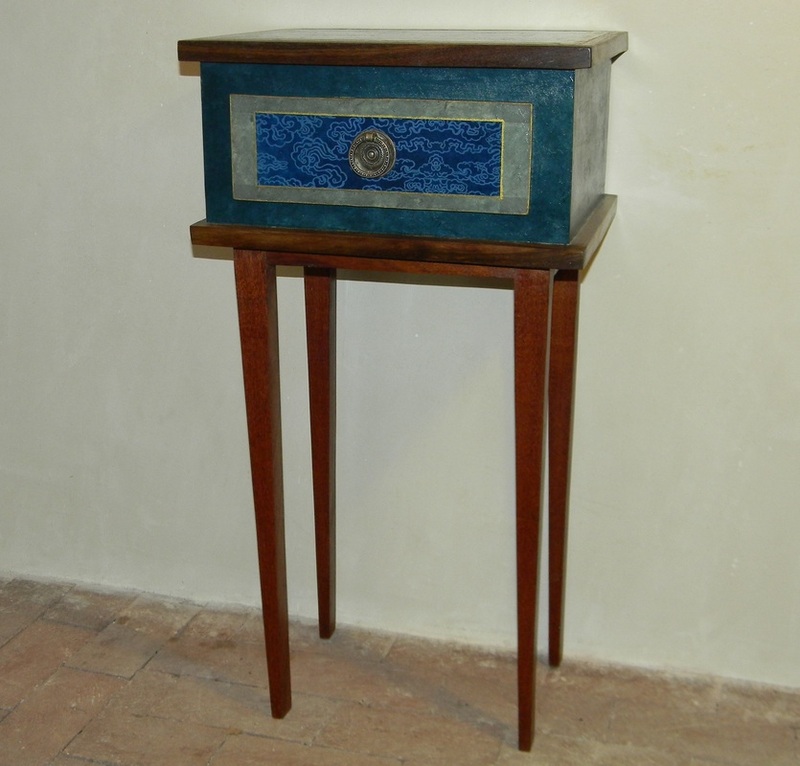 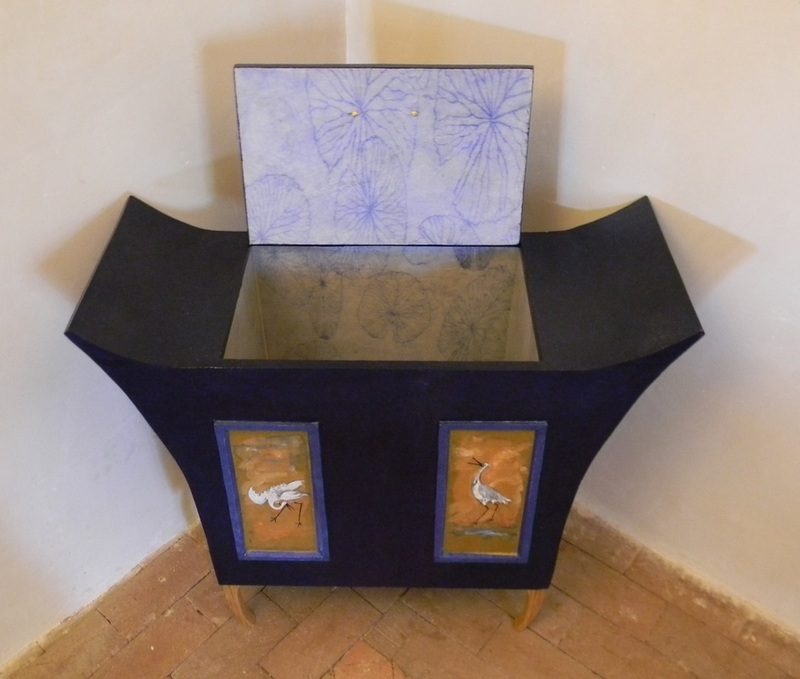 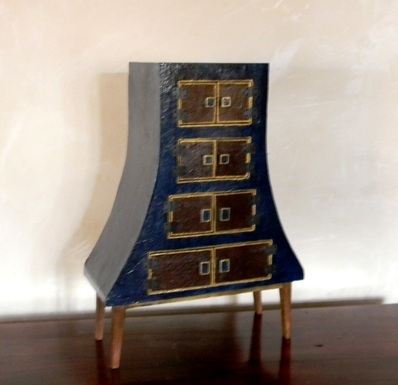 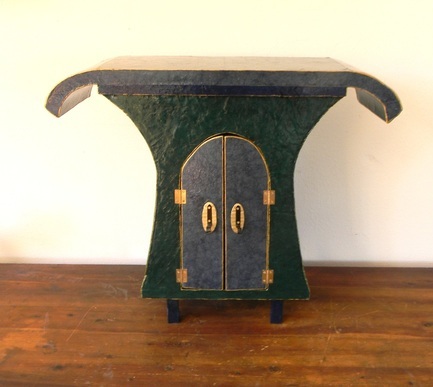 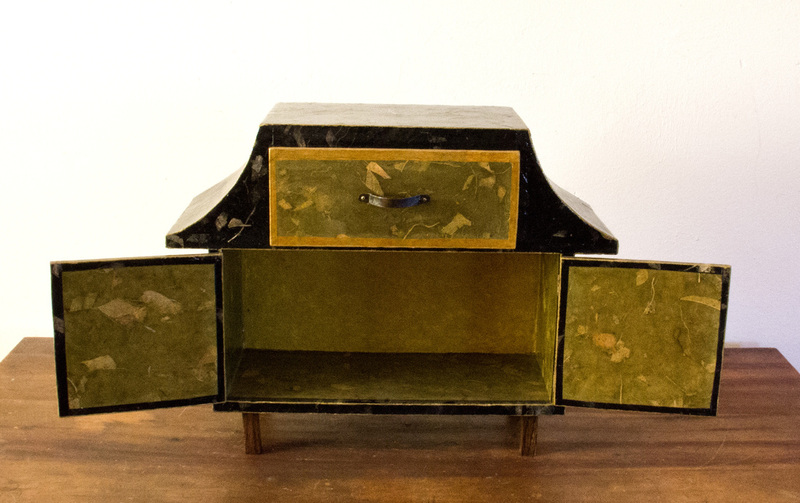 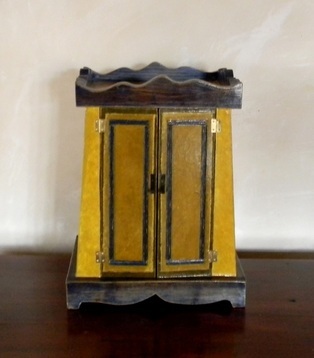 "Le Petit Prince" cupboard 28"x11"x44"
12. dark blue chest with water birds and lotus flowers interior 29"x11"x27"
13. 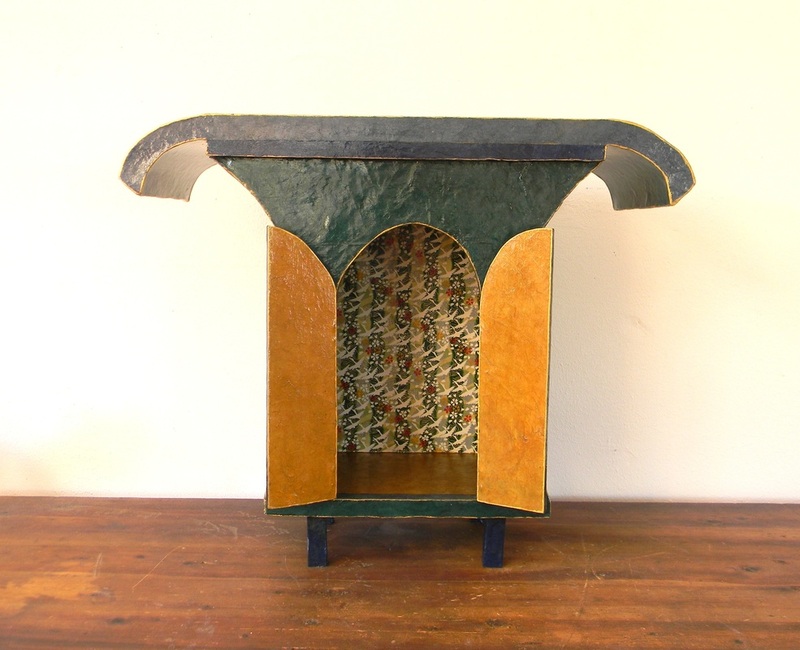 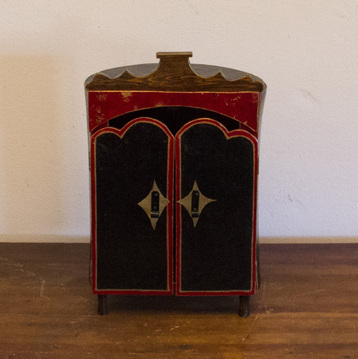 "La Petite Princesse" cupboard 28"x11"43"
14. plum blossom meditation altar 23"x7"x17"
15. black/red Chinese dragon altar 9"x7"x16"
16. white pyramid with Chinese script 16"x8"x22"
17. blue pyramid with golden orange shelves 16"x8"x22"
18. yellow table with Chinese print 15"x11"x29"
19. 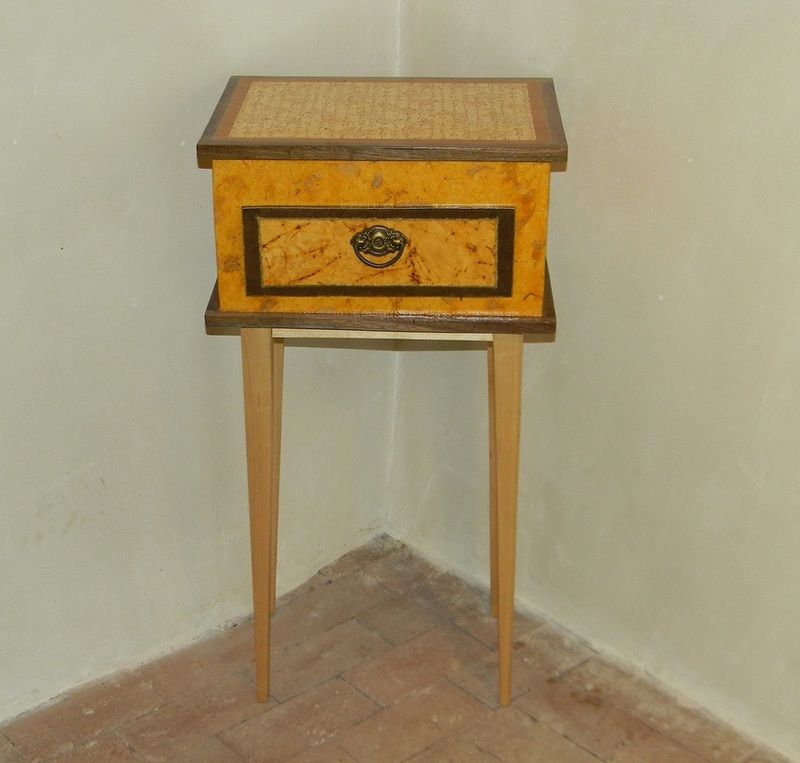 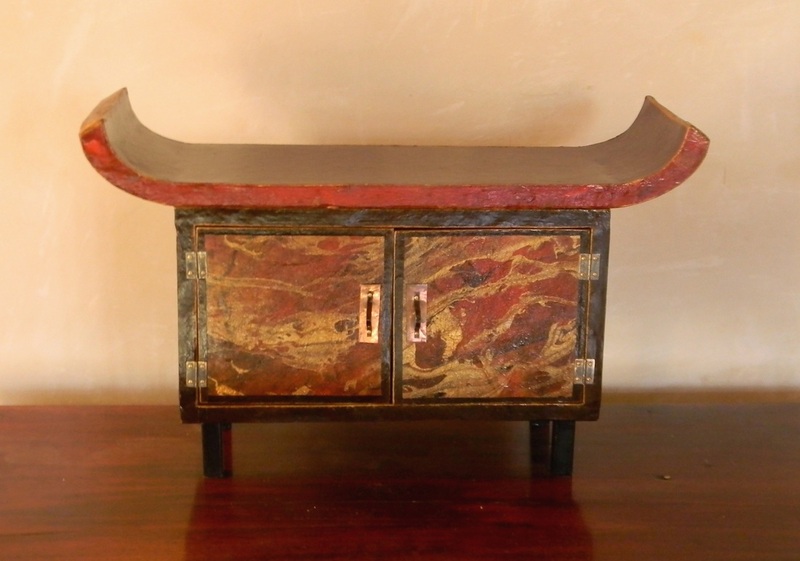 Mexican bark paper on chest with Chinese dragons 29"x11"x27"
20. foyer table with zig-zag pillars & marbled top 49"x10"x33"
21. 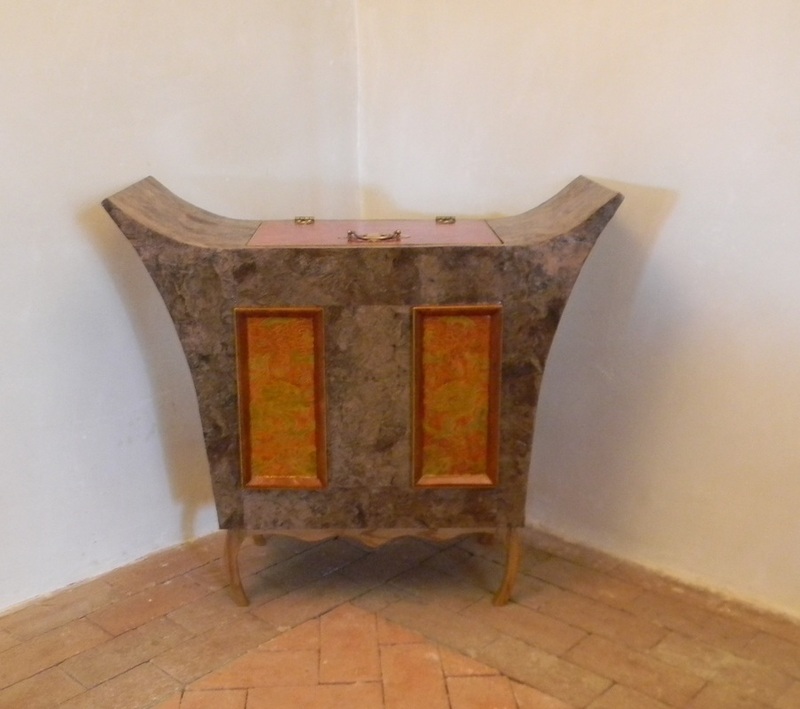 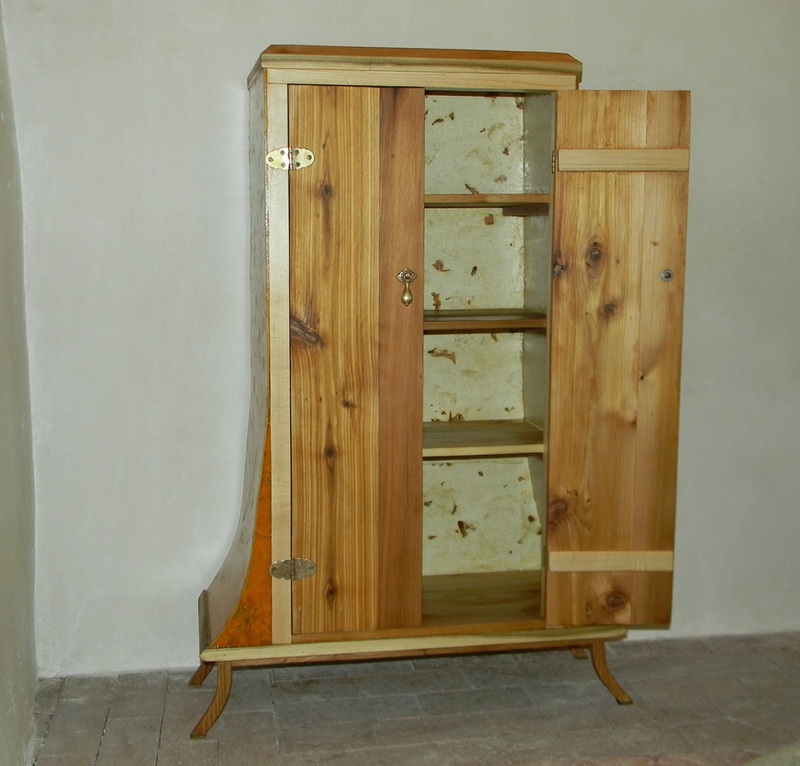 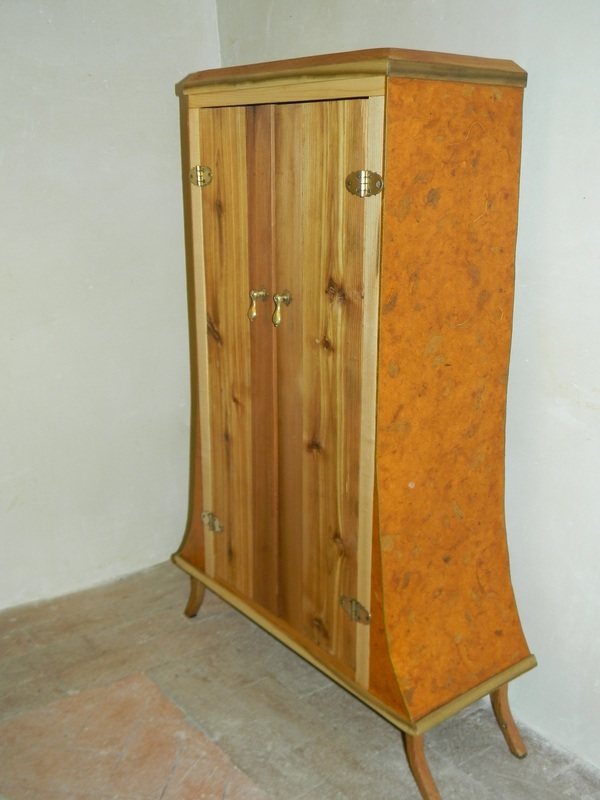 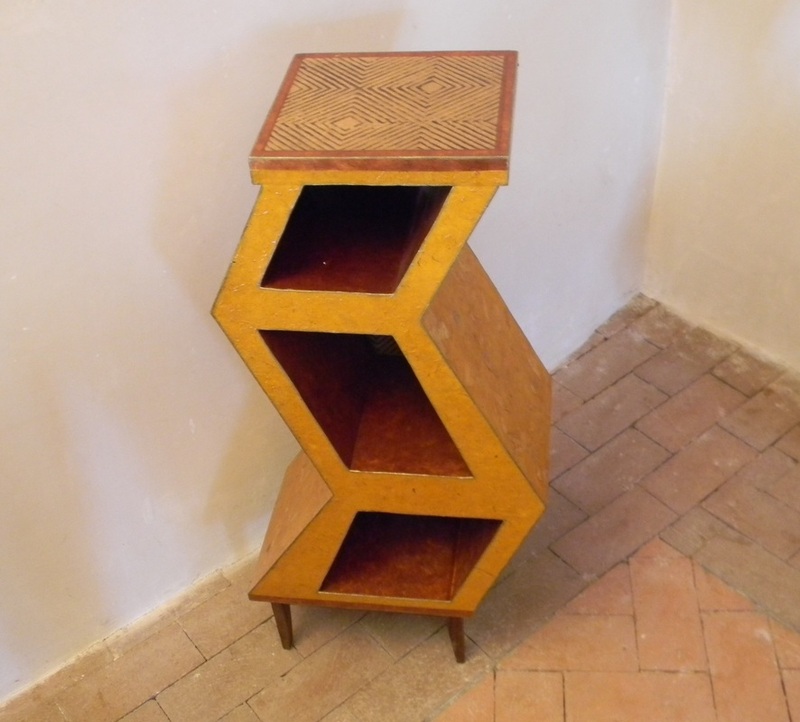 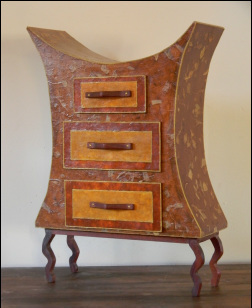 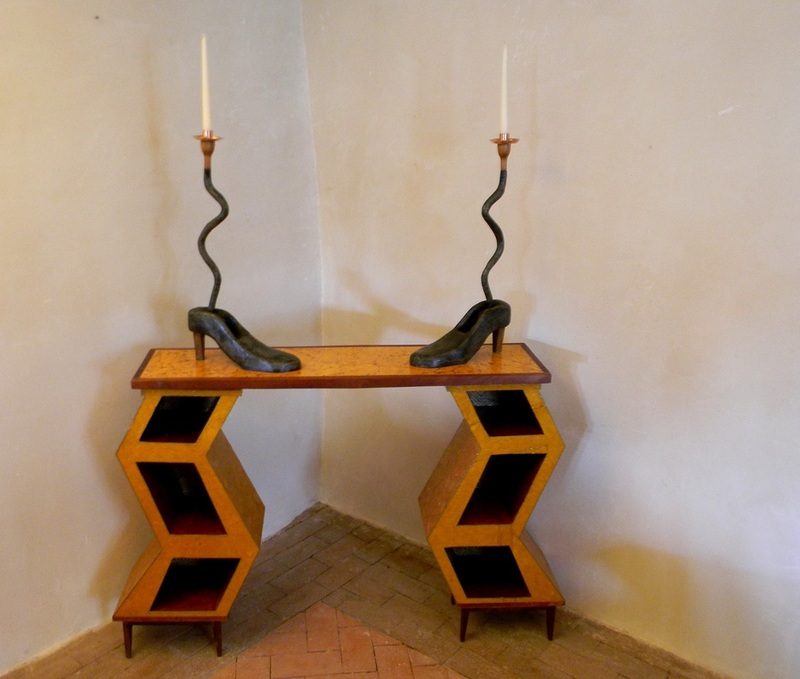 "devil's dresser" in brown, rust & saffron 19"x8"x27"
22. 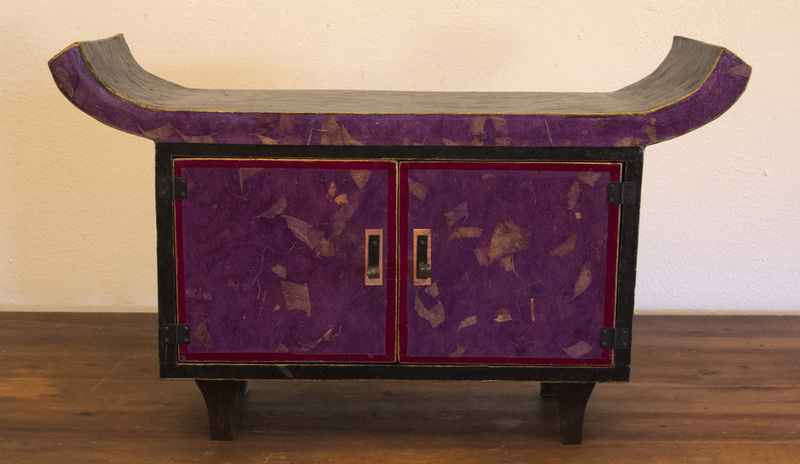 Spirit House/ Altar 14"x20"x7"
23. elongated purple/red altar with welded feet...18" x43" x 4"